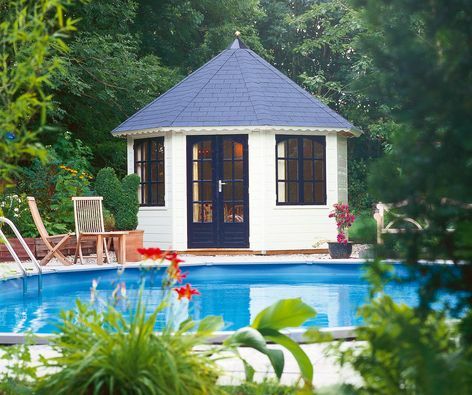 A beautiful octagonal summerhouse with enough space to use for several purposes. 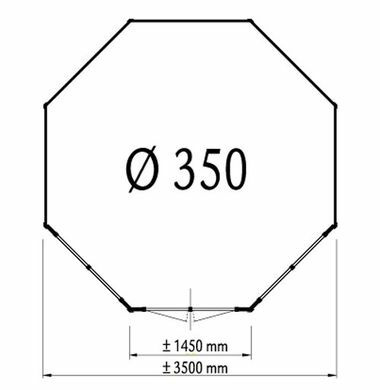 Size approximately 3.5m in 44 mm log thickness. The standard package includes 2 casement windows PR28 (outward opening) and a double door PR30. Wavy fascia boards are standard on non insulated roof only. Measurements are taken to the outside faces of the walls.